It’s the end of the growing season in many places. Here in Southern Oregon we have already had frost several times. Ending your gardening season and preparing your garden area for next year is just as important as the daily maintenance. Here are some things you should think about when fall comes. 1. 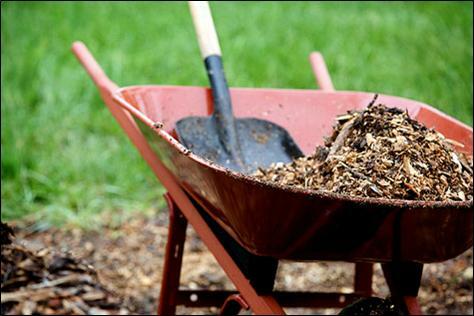 Fertilize – I use my own organic compost for fertilizing. While I do mix some in the soil after I have harvested my plants you want to make sure you stop applying your fertilizer about a month before your final harvest. This will help your plants to focus on vegetables and fruit that are already set on the plants. You should also pinch off any new growth on the tops of your plants. 2. Harvest – Before harvesting your food for the year make sure you have a plan for storing it. There is nothing worse than losing all your hard work because you are not prepared to handle it. Make sure you are ready to can, freeze, or provide cool storage for your root crops. This is a good time to share labor with your friends and family. If you will have excess you can share it with them or donate it to a local food bank. 3. Protect – Fall is the time to protect your soil. You can do this by adding a deep later of compost, leaves or other material or by planting a cover crop. You want something that will be incorporated into the soil over the winter and provide nutrients as well as protecting from erosion. If you have chickens – letting them into your garden area before you cover it for the year can be beneficial as well. Chickens will eat insects and their eggs to help reduce infestations in the spring. 4. Plant – Fall is the time to plant your spring bulbs and some flower mixes. Many of them need to be in the ground over the winter to bloom well in the spring. You can also divide your perennial plants. If you are planting seeds make sure they go in the ground 6 weeks before your first frost. These are just some things to keep in mind as winter approaches. Do you have a different approach for an area with a longer growing season? Please add your tips below in the comments and be sure to share this post! Sick of Getting Sick? Try E3 Camu Camu – Buy One Get One for a Limited Time! Cold & flu season is upon us, it’s time to boost your immune system! Our E3 Camu Camu is an Amazonian superfruit that promotes wide-ranging immune health benefits. Camu Camu contains amino acids leucine, valine, phenylalanine and serine and has 30 to 60 times more naturally occurring Vitamin C than oranges. It additionally has phytochemicals and a botanical spectrum of nutritional bioflavonoids to feed your immune system and refresh your tissues. Try this wild-grown botanical as an alternative to synthetic ascorbic acid, especially during flu season. Oct 1st – 15th: Buy One Get One on any size bottle of E3 Camu Camu (single bottles only), just place one bottle in your cart, enter coupon CAMU2013 during checkout, and we will include a second bottle free! Stock up today!